The very popular (SXJ) V-Cap upgrade is now standard in all Filarmonia SK amplifiers. This upgrade provides improvements in clarity, liquidity and musicality and gives the Filarmonia a bit of the outstanding sound character that is found in the (much more expensive and powerful) Gran Filarmonia integrated amp. The RCA input/output jacks and how they mount to the chassis has been improved and upgraded. 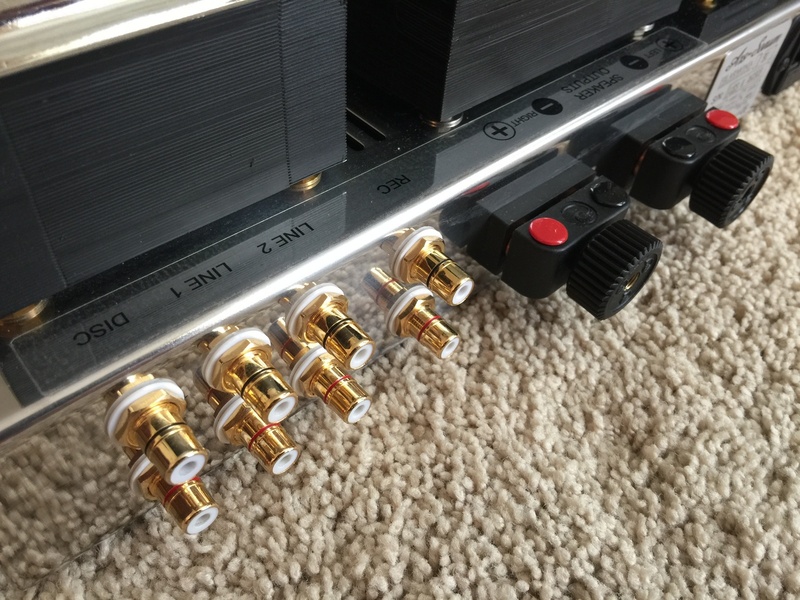 A higher quality chassis mount RCA jack is now used and the rear of the polished stainless steel chassis of the Filarmonia SK amplifier has been re-designed to work with them. Other improvements, though not of significant sonic benefit, include include a improved power transformer design (which allows for better power supply operation at various world wide and USA AC line voltages), and a further sealing/potting process of the power transformer to further reduce mechanical noise of the transformer winding’s. 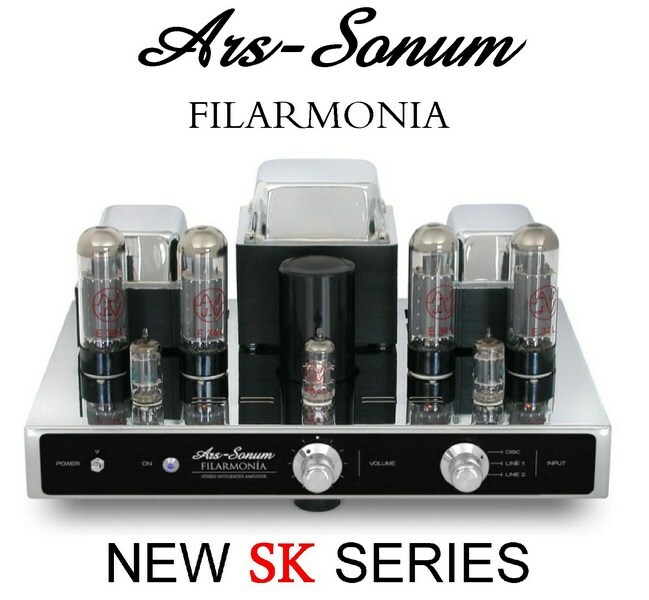 The Filarmonia SK comes with thoroughly tested and matched JJ E34L output tubes, select NOS 5814A driver tubes, and a carefully screened (only about one out of four to five new tubes meet Ars Sonum’s spec’s for use in their amplifiers) low noise JJ E88CC gain/preamp tube for excellent performance right out of the box without any tweaking or tube-rolling necessary. Additionally, all signal path capacitors go through a 1,000 hour run in process (on a proprietary coupling capacitors break-in device) before being installed in any Ars-Sonum amplifier. While the amplifier does require break-in to sound its best, the run in process minimizes the coupling capacitors effects during this period. For the ultimate turn-key experience, the Filarmonia SK can be purchased with a optional Cardas Clear or Clear Beyond Power cord at a substantial savings. 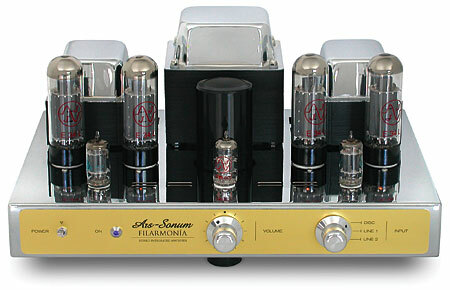 See the Ars-Sonum USA Product Summary & Price Guide linked to below for details. Check out our latest (and some classic) reviews! Two recent additions include Positive Feedback Online’s review of the Filarmonia SK by John Marks. We also have a English translation from StereoLife in Poland of their detailed rave review of the Filarmonia SK. 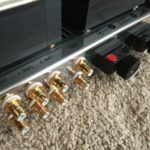 Then we have a link to John Mark’s first review some 10 years ago of the original Filarmonia SE that earned ht amp a Stereophile Class A rating at that time!